My publications include four adult novels: Matilda, My Darling (co-winner of the Australian/Vogel Literary Award), The Bathing-Machine Called the Twentieth Century, JF Was Here (winner of the New South Wales State Literary Award), and Freedom Highway. My books are published in Australia and the US. 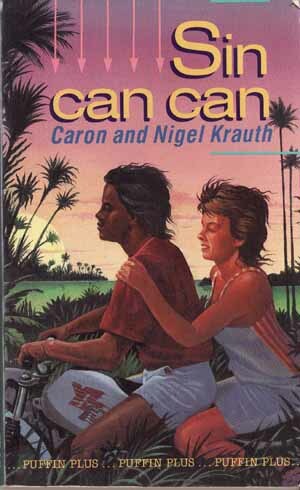 With Caron Krauth I co-authored three novels for teenagers: Sin Can Can, Rack Off, Rachmaninoff and I Thought You Kissed With Your Lips. These are published in Australia, the UK and Germany. 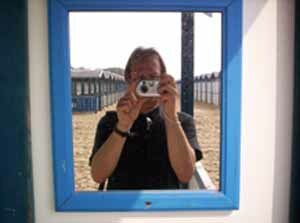 I have written stories, plays, reviews and essays. I have edited collections and judged national and state literary awards. I am currently a regular fiction reviewer for The Weekend Australian Review. I am co-editor (with Jen Webb) of the on-line international creative writing and teaching journal TEXT: Journal of Writing and Writing Courses. 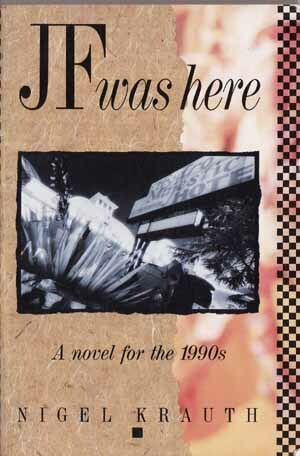 I was a founding editor of inprint: the short story magazine and founding literary editor of the Griffith Review. My most recent research book, published in 2006, is an academic collection about writing and teaching writing processes: Creative Writing: Theory beyond practice (edited with Tess Brady) available at Snodger's Bookstore. And this year with Tess Brady I edited The Clunes Little Book of the Book, a collection where five Australian authors reflect on their relationship with the book (available at the Clunes Booktown website). I studied at the University of Newcastle, NSW (BA Hons), the Australian National University (Research MA) and the University of Queensland (PhD). I taught at the University of Papua New Guinea, Mitchell CAE (now Charles Sturt University), Southern Cross University, and the Gold Coast CAE (now Griffith University). I teach Creative Writing at Griffith University, Gold Coast and have a special interest in writing at postgraduate levels. I live and work in the City of the Gold Coast, Queensland, Australia. Not far away in Brisbane, Queensland's capital, my work is recognised in a CBD bronze pavement plaque, part of Brisbane's Literary Walk, cnr Albert and Elizabeth Streets. This is a bibliographic site. Here I list what I have written over 40 years. I continue to write. Second Prize, 1981 City of Brisbane Short Story Award. Four Australia Council creative grants ($62,500) and one Queensland Government creative grant ($30,000). Krauth, N (2008) 'The novel and the academic novel'. In Graeme Harper and Jeri Kroll, eds Creative Writing Studies: Practice, Research and Pedagogy. Multilingual Matters, Clevedon, UK: 10-20. Krauth, N (2006) 'The domains of the writing process'. In N Krauth and T Brady, eds Creative Writing: Theory beyond practice. Post Pressed, Teneriffe: 187-196. Brady, T and N Krauth (2006) 'Towards creative writing theory'. In N Krauth and T Brady, eds Creative Writing: Theory beyond practice. Post Pressed, Teneriffe: 13-18. Krauth, N (2002) 'Learning Writing through Reading'. In Brenda Walker, ed. The Writer's Reader: A Guide to Writing Fiction and Poetry. Halstead Press, Sydney, in association with The Centre for Studies in Australian Literature, University of Western Australia: 167-71. Krauth, N (2002) 'Mavericks and Misfits'. In Robyn Sheahan-Bright and Stuart Glover, eds Hot Iron Corrugated Sky. University of Queensland Press in association with the Queensland Writers Centre, St Lucia and Brisbane: 158-69. Krauth, N (1999) 'The Invisible Story Leapt Out at Me'. Rolling Column series. Australian Book Review 213 (August): 33. Krauth, N and T Brady (1997) 'Writing Beyond the Reading List'. Australian Book Review 191 (June): 47. Krauth, N (1996) 'Setting, Action and Suspense'. In Marele Day, ed. How to Write Crime. Allen & Unwin, Sydney: 104-20. Krauth, N and T Brady (1996) 'Enter Pursued by a Bear: The Body, Writing and the Teaching of Writing'. In J Hutchinson and G Williams, eds. Writing-Teaching/Teaching-Writing. Proceedings of the Association of University Writing Programs First Annual Conference, Sydney: 96-100. Docker, J, N Krauth et al. (1995) 'A Symposium on Postmodernism'. Australian Book Review 171 (June): 18-21. Krauth, N (1995) 'Escapist Lines for Fast-moving Times'. The Australian. Paterson Centenary Issue. (October 17): 15. Krauth, N (1993) '"Unfolding Like Petals": The Developing Definition of the Writer's Role in Modern Papua New Guinean Literature'. In Paul Sharrad, ed. Readings in Pacific Literature. New Literatures Research Centre, Wollongong: 52-62. Krauth, N (1992) 'Myths We Hold Most Dear'. In Rosemary Sorensen, ed. What's the Difference? : Writing for Children. National Book Council, Melbourne: 5-6. Krauth, N (1992) 'The Consequences of Fiction'. Island 50 (Autumn): 16-18. 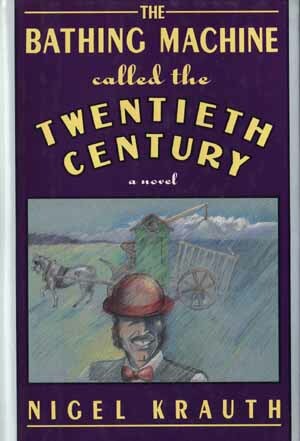 Krauth, N (1990) 'Continental Drift; Or, Clancy of the Undertow'. Imago 2, 2: 28-35. Krauth, N (1985) 'Fact and Fiction: The Scissors and Paste Job'. Australian Literary Studies 12, 1: 119-123. Krauth, N (1983) 'The Australian Soldier's Experience of the New Guinea Jungle War in Fiction'. New Literature Review 12: 16-24. 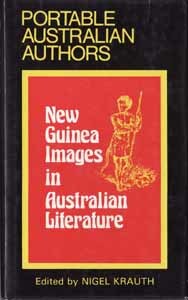 Krauth, N (1980) 'A Thematic Index to Papua New Guinean Literature, from 1969 to 1979'. Span 10: 10-34. Krauth, N (1979) 'Russell Soaba's Latest Work: An Investigation into Accidents Along the Road to Papua New Guinean Independence'. ACLALS Bulletin, 5th Series, 2: 40-6. Krauth, N (1978) 'A Bibliography of Papua New Guinean Literature (to 1977)'. In Robert E McDowell and Judith H McDowell, eds Asia/Pacific Literatures in English: Bibliographies. Three Continents Press, Washington: 71-82. Krauth, N (1978) 'Unfolding Like Petals: The Developing Definition of the Writer's Role in Modern Papua New Guinean Literature'. ACLALS Bulletin, 5th Series, 1: 1-14. Krauth, N (1978) 'Politics and Identity in Papua New Guinea Literature'. Mana 2, 2: 45-58. Krauth, N (1978) 'Papua New Guinea in Recent White Fiction'. In Chris Tiffin, ed. South Pacific Images. SPACLALS, St Lucia: 32-42. Krauth, N (1978) 'Papua New Guinea Select Reading List' and 'Expatriate Literature Concerning Papua New Guinea Since 1967'. In Chris Tiffin, ed. South Pacific Images. SPACLALS, St Lucia: 204-7. Krauth, N (1978) 'Contemporary Literature from the South Pacific'. World Literature Written in English 17, 2: 604-33. Krauth, N (1978) 'An Introductory Bibliography of Contemporary Literature from the South Pacific (Australian Aboriginal, Maori, Papua New Guinean and Island Region Writing)'. World Literature Written in English 17, 2: 634-45. Krauth, N (1977) 'The Papua New Guinea Poets'. (Grossly misedited and misprinted under the title 'A Postmortem of Papua New Guinea Poetry'). Papua New Guinea Writing 25: 18-21. See also Letters to the Editor. Papua New Guinea Writing 27 (1977): 23. Krauth, N (1975) 'The First to See Dawn: Kama Kerpi's Poetry'. Kovave 5, 1: 55-60. 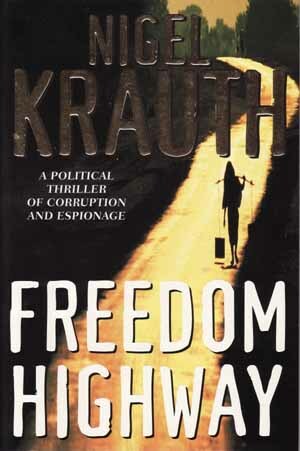 Krauth, N & E Brash, eds. (1973) Traditional Poems, Chants and Songs of Papua New Guinea. Papua Pocket Poets, Port Moresby. Krauth, N (1972) 'Making Small Holes in the Silence: The Poetry of Hone Tuwhare'. Kovave 3, 2: 55-8. Krauth, N (1972) 'Innocence and Experience in the Design of Vincent Eri's The Crocodile'. Westerly 3: 70-3. Krauth, N (1972) 'Towards A Balanced Approach in the Study of Modern Papua New Guinean Literature'. In E. Brash & M. Greicus, eds. Teaching Literature in Papua New Guinea. UPNG, Port Moresby: 49-55. Krauth, N & E Brash, eds. (1972) Modern Poetry from Papua New Guinea. Papua Pocket Poets, Port Moresby. Krauth, N (1971) 'Interpreting the Signs: The Poetry of Kumalau Tawali'. Kovave 3, 1: 43-6. Founding Literary Editor, The Griffith Review, 1 (September 2003) - 12 (Winter 2006). Queensland Consultant Editor, Australian Book Review, National Book Council, Melbourne, Victoria, 1991-5. Co-Founding Editor, inprint: the short story magazine, 1977-1983. Associate Editor, Papua Pocket Poets Series, 1972-3. Editorial Committee, Kovave, 1971, 1973, 1975. Krauth, N (2010) ‘Making a name for oneself in the search for self-worth’ [review of John Green and David Levithan, Will Grayson, Will Grayson] The Weekend Australian Review (8-9 May): 21. Krauth, N (2010) ‘Erotica-lite from a marital arts master’ [review of Peter Goldsworthy, Gravel] The Weekend Australian Review (27-28 Feb): 21. Krauth, N (2009) ‘Unenlightening encounters’ [review of Ben Naparstek, In Conversation: Encounters with 39 great writers] The Weekend Australian Review (12-13 Dec): 20-21. Krauth, N (2009) ‘Telling tale about words and wounds’ [review of Maurice Gee, Access Road] The Weekend Australian Review (31 Oct-1 Nov): 15. Krauth, N (2009) ‘Rich, young and vile’ [review of Philip Hui, Superbia] The Weekend Australian Review (8-9 August): 15. Krauth, N (2009) ‘Muddled blokes all grown up’ [review of Nick Earls, The True Story of Butterfish] The Weekend Australian Review (11-12 July): 10-11. Krauth, N (2009) ‘Shameful tale peeks behind closed doors’ [review of Craig Silvey, Jasper Jones] The Weekend Australian Review (23-24 May): 12. Krauth, N (2009) ‘Emotional truths in corrupt world’ [review of Chimamanda Ngozi Adichie, The Thing Around Your Neck] The Weekend Australian Review (25-26 April): 13. Krauth, N (2009) ‘Seduce after reading’ [review of Amos Oz, Rhyming Life and Death] The Weekend Australian Review (11-12 April): 12. Krauth, N (2009) ‘Addictive puzzle of life’s meaning’ [review of Rana Dasgupta, Solo] The Weekend Australian Review (31 January-1 February): 11. Krauth, N (2008) 'Love minus zero' [review of Louis Nowra, Ice] The Weekend Australian Review (15-16 November): 15. Krauth, N (2008) 'Trip into the past darkly' [review of Kate Grenville, The Lieutenant] The Weekend Australian Review (11-12 October): 10-11. Krauth, N (2008) 'Boomers crash on the coast' [review of Robert Drewe, The Rip] The Weekend Australian Review (27-28 September): 10-11. Krauth, N (2008) 'A hope found in lost words' [review of Chris Abani, Song for Night] The Weekend Australian Review (9-10 August): 10-11. Krauth, N (2008) 'Outback quest for insight' [review of Murray Bail, The Pages] The Weekend Australian Review (28-29 June): 10-11. Krauth, N (2008) 'A pub crawl through the Ozmale psyche' [review of Sam de Brito, The Lost Boys] The Weekend Australian Review (5-6 April): 13. Krauth, N (2008) 'Saga of dysfunctional males weighs heavily' [review of Steve Toltz, A Fraction of the Whole] The Weekend Australian Review (8-9 March): 10-11. Krauth, N (2008) 'Life as Latin pyrotechnics' [review of Junot Diaz, The Brief Wondrous Life of Oscar Wao] The Weekend Australian Review (5-6 January): 11. Krauth, N (2007) 'Insights balanced by melodrama and cliche' [review of Tan Twan Eng, The Gift of Rain] The Weekend Australian Review (December 22-23): 10. Krauth, N (2007) 'Wishful thinking, historical irrelevance and deluded boomer idealism' [review of Hari Kunzru, My Revolutions] The Weekend Australian Review (September 29-30): 8-9. Krauth, N (2007) 'An itch to ride a trail of words' [review of Patrick Buckridge and Belinda McKay (eds) By the Book: A Literary History of Queensland] The Weekend Australian Review (August 4-5): 9-10. Krauth, N (2007) 'Brilliance in search of an author' [review of Torsten Krol, Callisto] The Weekend Australian Review (July 7-8): 10-11. Krauth, N (1998) 'Strong Women' [review of Eva Sallis, Hiam, and Rowena Ivers, The Spotted Skin]. Australian Book Review 203 (August): 20-1. Krauth, N (1998) 'Now and the Future' [review of Bernard Cohen Snowdome]. Australian Book Review 199 (April): 36-7. Krauth, N (1996) 'Holding Hands through the Barbed Wire Fence' [review of Kerryn Goldsworthy (ed) Australian Love Stories]. Australian Book Review 187 (December): 42-3. Krauth, N (1996) 'Magazines Road Test' [review of 14 literary journals]. Australian Book Review 185 (October): 51-2. 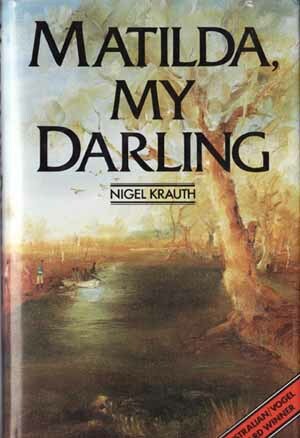 Krauth, N (1996)'Products from the Anthology Factory' [review of Tony Ayres (ed) String of Pearls; James Bradley (ed) Blur; and John Dale (ed) Out West]. Australian Book Review 180 (May): 28-9. 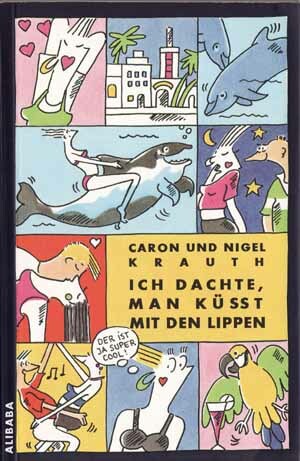 Krauth, N (1995) 'Through the Looking-Glass' [review of Peter Carey, The Big Bazoohley]. Australian Book Review 175 (October): 57-8. Krauth, N (1995) 'Which is worst? Winning the Vogel, not winning it, or judging it?' [review of Judith Fox, Bracelet Honeymyrtle, Tony McGowan, Crew, and Darren Williams, Swimming in Silk]. Australian Book Review 174 (September): 45-7. Krauth, N (1995) 'Louis Becke Meets Robert G. Barrett' [review of Michael Challinger, Shawline]. Australian Book Review 171 (June): 12. Krauth, N (1994) 'Getting Away From Warana'. Australian Book Review 166 (November): 23-4. Krauth, N (1994) 'Riding to Hell on Tim's Back' [review of Tim Winton, The Riders]. Australian Book Review 164 (September): 15-16. Krauth, N (1993) 'Loving Story' [review of John A. Scott, What I Have Written]. Australian Book Review 152 (July): 12-13. Krauth, N (1993) 'Redecorating the Gallery' [review of On the Wall - Artists Al Fresco, Gold Coast City Art Gallery Exhibition, 7.2.93 - 7.3.93]. Periphery 15 (May): 26. Krauth, N (1993) 'Cheating, Lying, Fornicating, Drinking, Etc.' [review of Michael Challinger, Port Moresby Mixed Doubles]. Australian Book Review 149 (April): 13-14. Krauth, N (1993) 'Not Drowning, Seeing' [review of Liam Davison, Soundings]. Australian Book Review 148 (Feb/March): 39-40. Krauth, N (1992) 'The Female Face of Colonialism' [review of Chilla Bulbeck, Australian Women in Papua New Guinea: Colonial Passages 1920-1960]. Australian Book Review 146 (November): 4-5. Krauth, N (1992) 'Correspondence from the War(ana) Zone'. Australian Book Review 146 (November): 23-24. Krauth, N (1992) 'Two Cyclones Joined' [review of Thea Astley, Vanishing Points]. Australian Book Review 144 (September): 5-7. Krauth, N (1991) 'Peter Carey: A Portrait of Electricity'. Australian Book Review, 133: 18-19. 1988 Mid-State Television (Channel 8, Orange, NSW): Research, Scriptwriting and Presentation/Short feature on 'Banjo' Paterson. 1987 Big Bear Picture Company: Scriptwriting Contract. 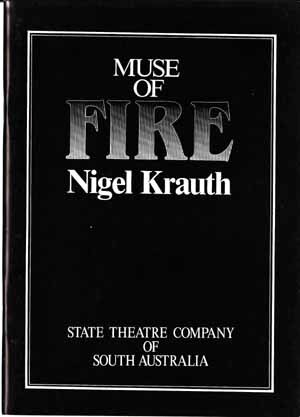 1985 State Theatre Company of South Australia: Commission to write a major play. 1983-4 Zarwot Films: Film Script Consultancy. 1979 Denis O'Rourke Films: Research Project Contract. Passim Manuscript Assessment for Publishers and Writing Bodies, e.g. 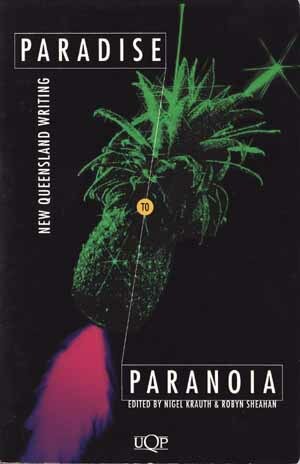 University of Queensland Press; Allen & Unwin, Publishers; National Book Council; Queensland Writers' Centre.